Be part of Bethel's Inaugural Turkey Trot! 2018 Bethel Trot is First Thanksgiving Road Race in Bethel! What are you doing on Thanksgiving morning? 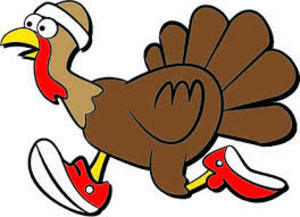 Bethel Turkey Trot is planned for Thursday, November 22 at 8:00 AM at Bethel Municipal Center! Register HERE. The Bethel Turkey Trot will be the first-ever road race held on Thanksgiving in Bethel, CT. With a challenging 5K course through the beautiful neighborhoods of the iconic town, the Bethel Turkey Trot is sure to be a great way to start your Thanksgiving holiday weekend! A portion of the proceeds will go to Ability Beyond and Bethel Parks and Recreation. Register for the Inaugural Bethel Turkey Trot HERE.